This easy to wear vest shines in self-shading Alpaculence. 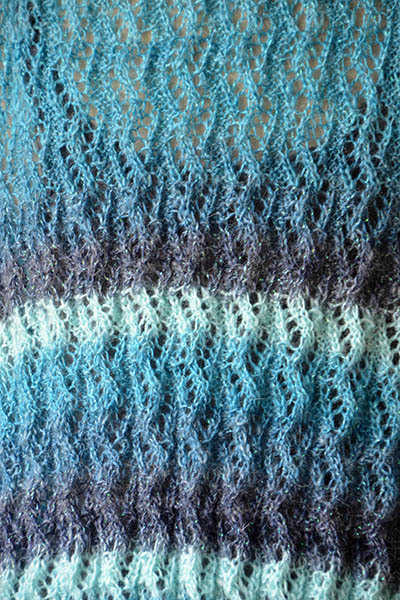 The Zig Zag Rib pattern is fun to knit, but easy enough to memorize after a couple of repeats. 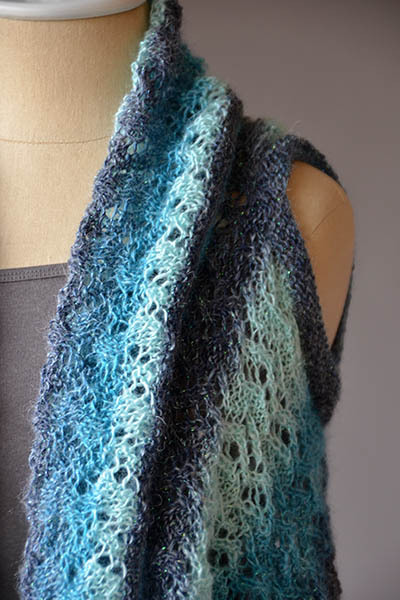 To maintain the ridgy-ribbed look of the stitch pattern, do not stretch the vest too much during blocking.